We’re not entirely sure what our boys get up to when they go to school, but their school shoes sure do take a battering. 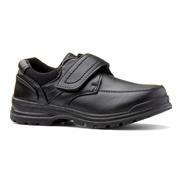 Our range of Trux boys’ shoes are built to last, they look smart and they’re available at cheap prices. 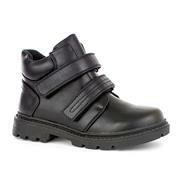 We want your boys to play hard which is exactly what they can do in these Trux school shoes. One of the major concerns that parents have when buying school shoes for their lads is that they aren’t durable. We’re not entirely sure how they manage it, but they are certainly inventive when it comes to wrecking a pair of good shoes. 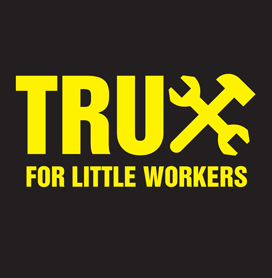 Trux have taken those concerns on board and our in-house team of buyers love Trux because they’re simple, cheap and strong. 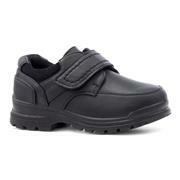 With slip on and easy fasten designs available, give your little lad’s feet the protection they need. They need to be ready for the battlefield that is the playground and these Trux shoes means they can play to their heart’s content without burning a hole in your pocket. We’ve got free & fast delivery available so if you’re in need of new school shoes don’t worry, we’ll get them over to you at no extra cost. Have a look for yourself and see if you can snag yourself a bargain, we guarantee that you will!